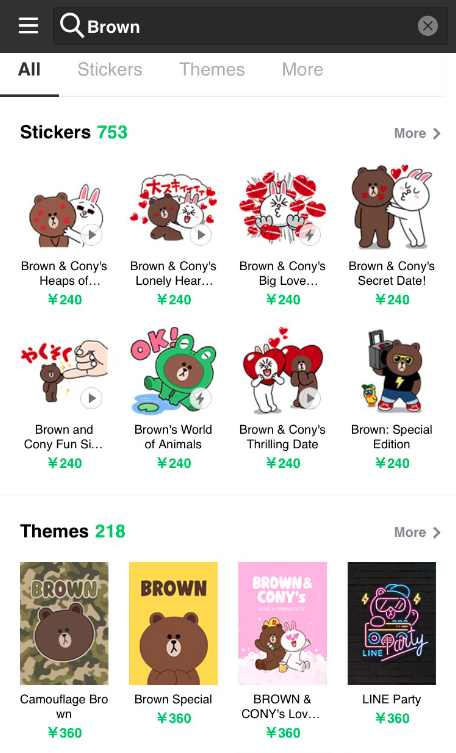 Thanks for stopping by LINE STORE. We're happy to announce that we've improved searching on LINE STORE! Now when you search for something, you don't just get sticker sets, you also get results for themes and other items. We hope this will make shopping on LINE STORE an even better experience.